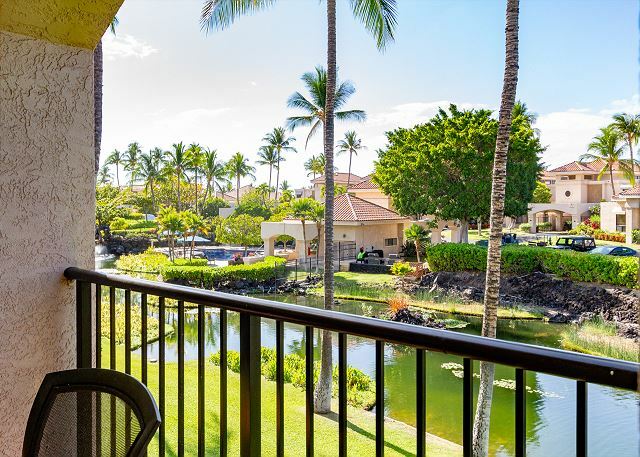 Set in a peaceful corner spot overlooking a meandering koi pond, this condo provides an ideal location in which to spend your next Hawaii vacation! 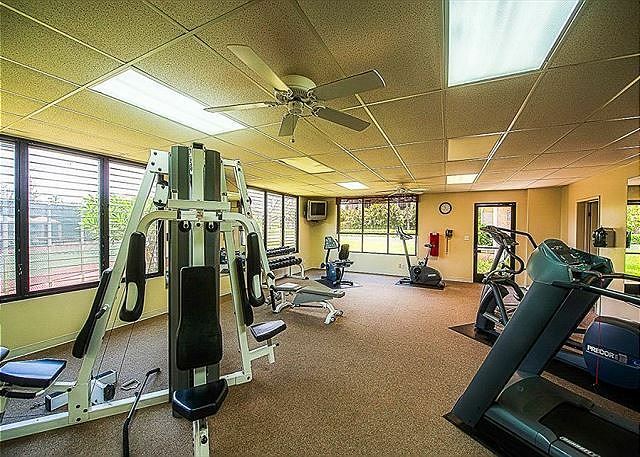 You will enjoy these spacious, airy surroundings whether it be for just the two of you or a group of four. 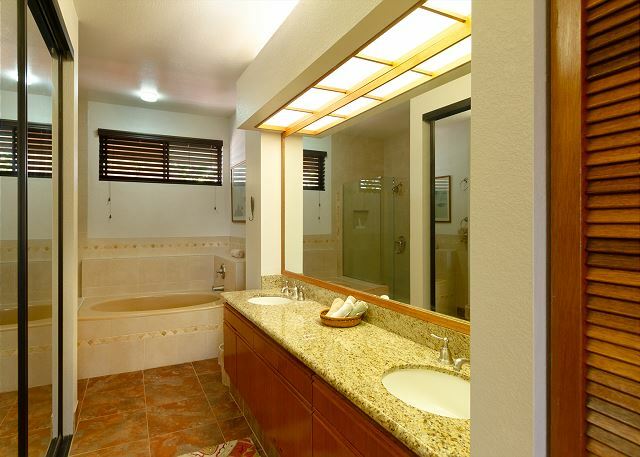 With the main living area separating the two bedrooms, you will have ample privacy here. This stylish, fully upgraded unit has extremely comfortable furnishings; immaculate carpeting throughout; all new appliances; a well-stocked kitchen; and other features to ensure a totally luxurious experience. The lanai has a patio dining table that seats six along with extra seating areas and lounge chairs, and wraps around for guest-bedroom access. 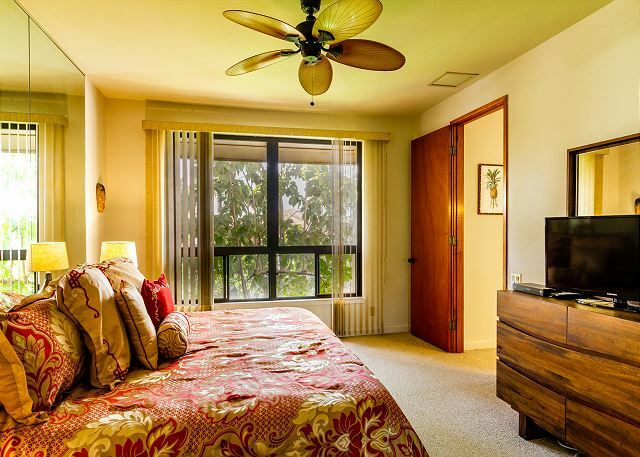 From here you can look out to a thriving tropical landscape and fantastic sunsets while enjoying the fresh South Kohala breezes. 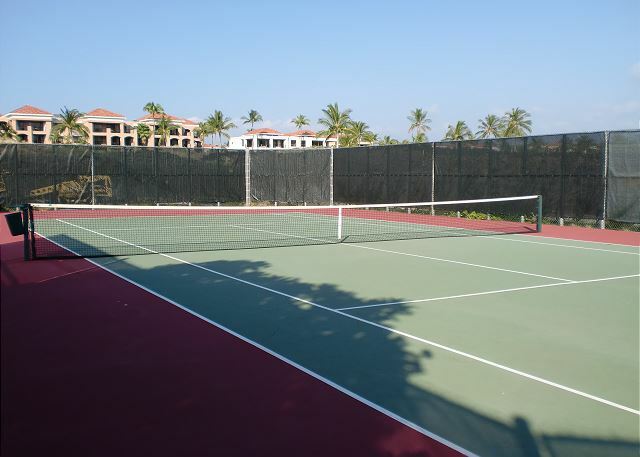 The property's gated pool and jacuzzi area, tennis courts, fitness room, and grills are just a few steps away from the building. There is a designated parking stall right in front of the building. Beach supplies are plentiful and additional items may be requested. The Shores at Waikoloa has one of the most peaceful and authentic island landscapes within the Waikoloa Resort, with well-tended gardens and an abundance of trees. From here guests may take just a short walk to the Hilton Waikoloa Village for various restaurants, shops and luaus and access to sports and spa facilities. The white sandy beach at nearby Anaehoomalu Bay offers a range of beach equipment rentals and charter cruises.